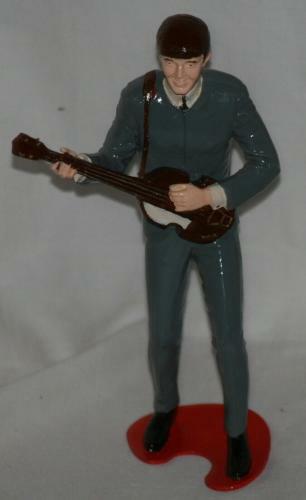 Paul McCartney is one of the most important figures of the 20th century. 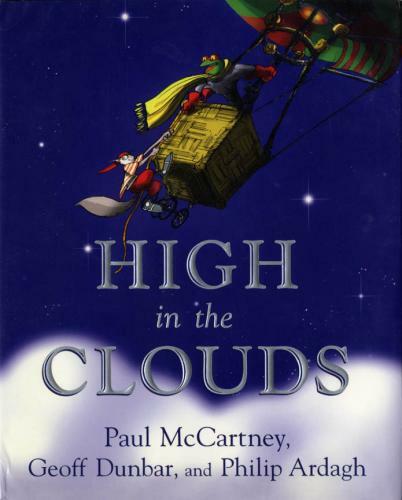 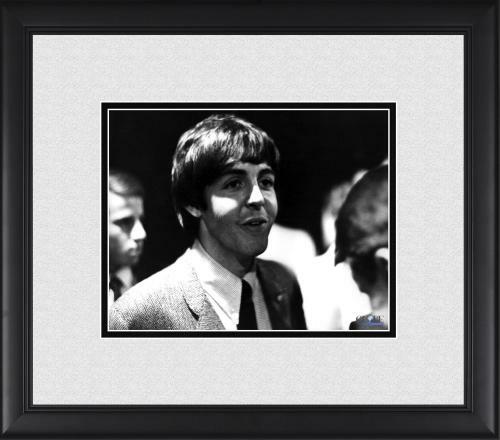 McCartney burst onto the music scene in the early 1960’s as a member of The Beatles. 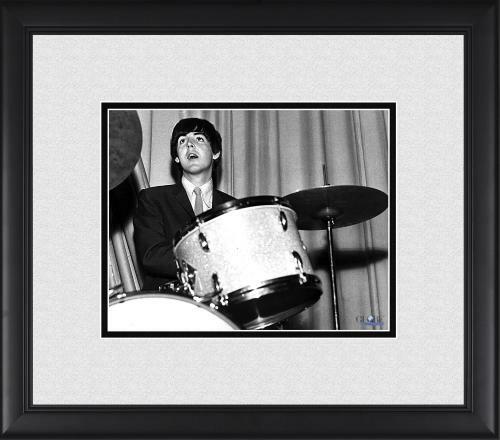 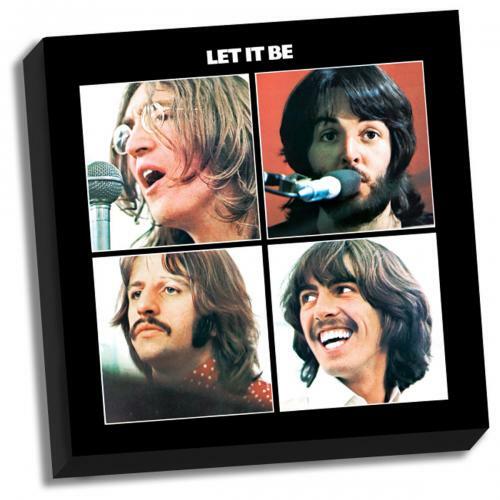 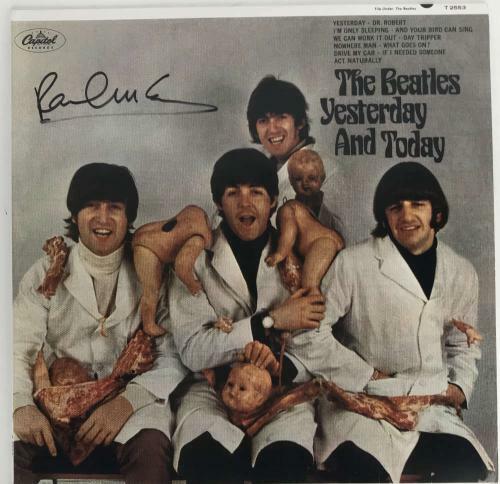 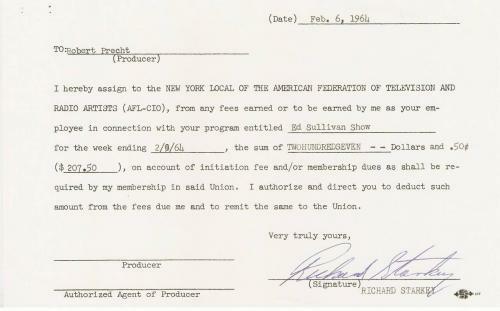 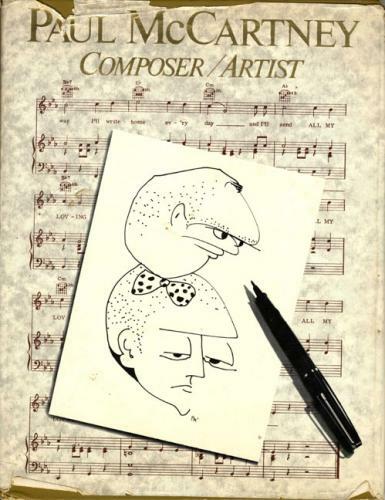 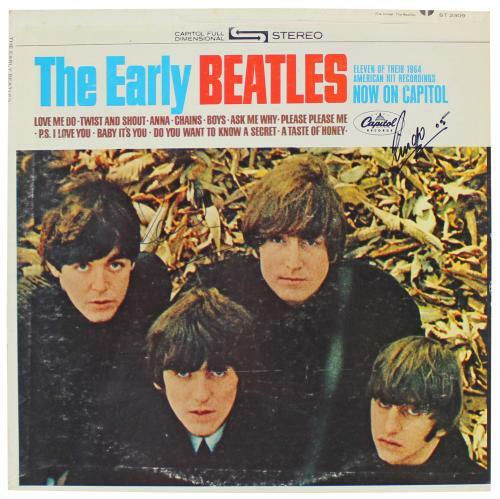 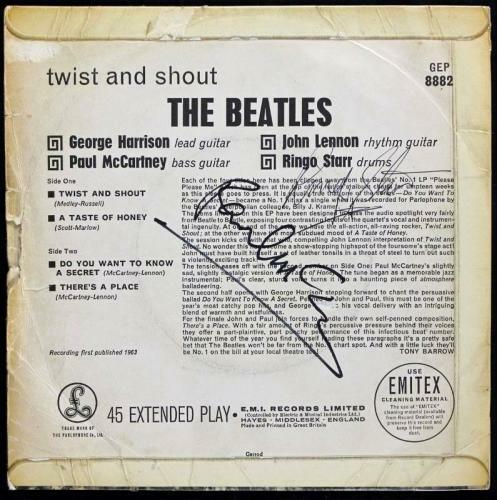 As a member of The Beatles Paul McCartney sang classic songs like “Yesterday” and “Hey Jude”. 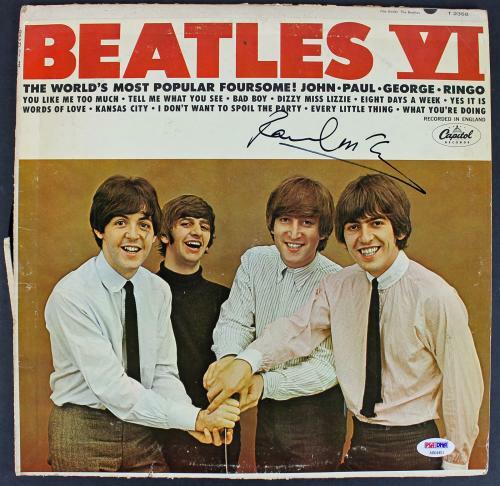 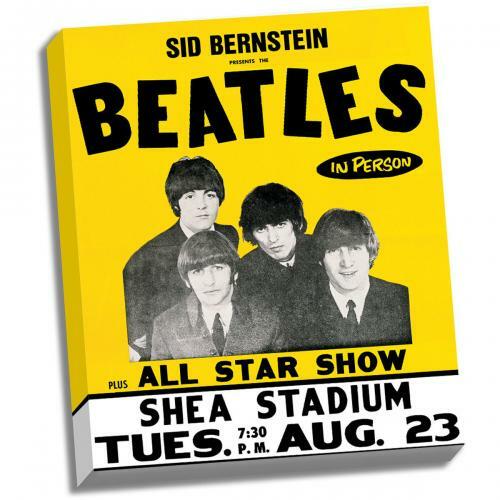 The Beatles are widely regarded among the most influential artists of all-time being named the number one artist of all-time by Rolling Stone magazine and the number one artist of all-time by VH1 as well. 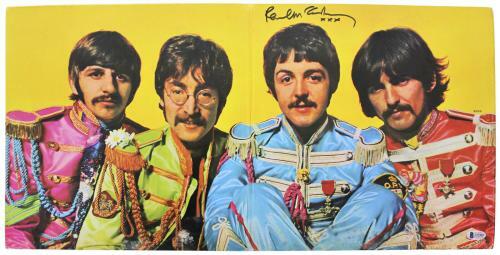 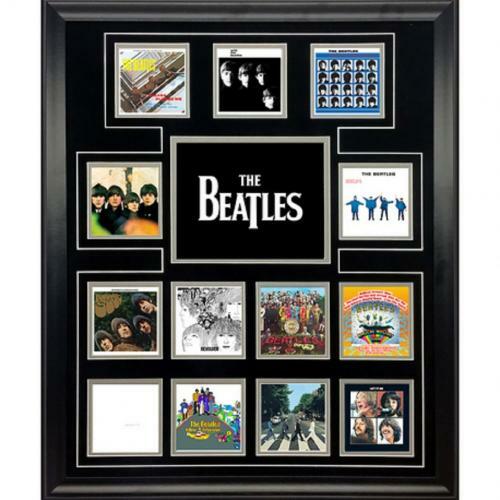 The Beatles are the best-selling artist of all-time and were inducted into the Rock and Roll Hall of Fame in 1988. 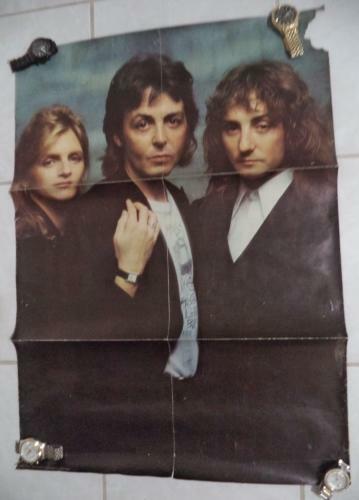 In addition to having an incredibly successful career with The Beatles Paul McCartney has also had an enormous amount of success as a solo artist and as a member of the band Wings. 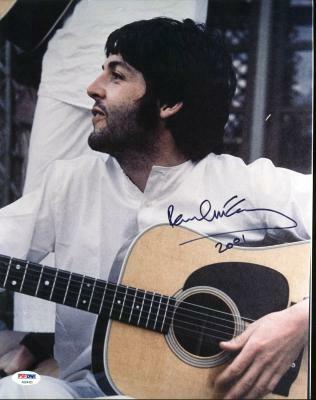 Rolling Stone magazine has even named Paul McCartney to their list of 100 Great Songwriters and 100 Greatest Singers of All-Time. 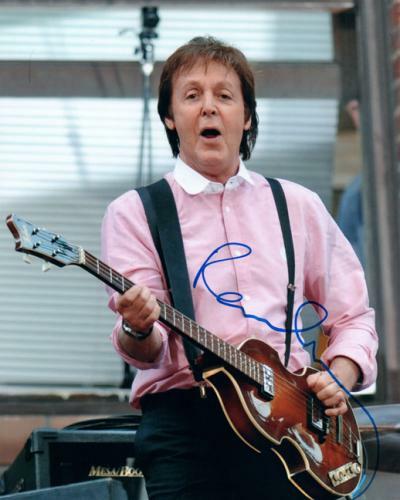 Paul McCartney has won numerous Grammy Awards throughout McCartney’s career and has been nominated for an Academy Award three times winning once for Best Original Score for Let It Be. 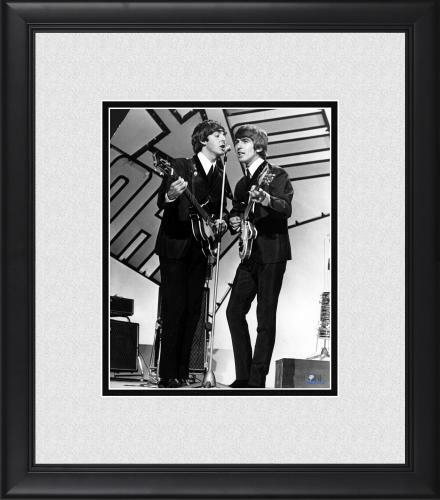 McCartney has also been inducted into the Rock and Roll Hall of Fame as a solo artist and received a star on the Hollywood Walk of Fame in 2012. 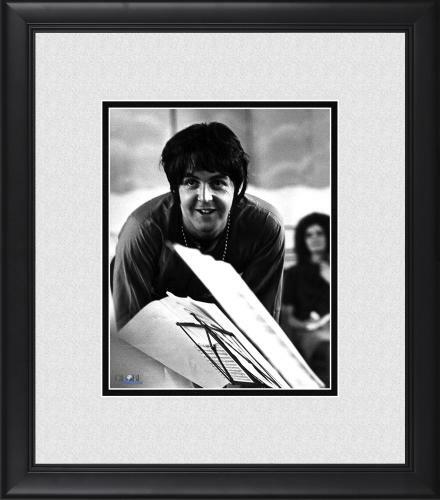 Paul McCartney is a legendary artist and shaped the world that we live in today through McCartney’s music. 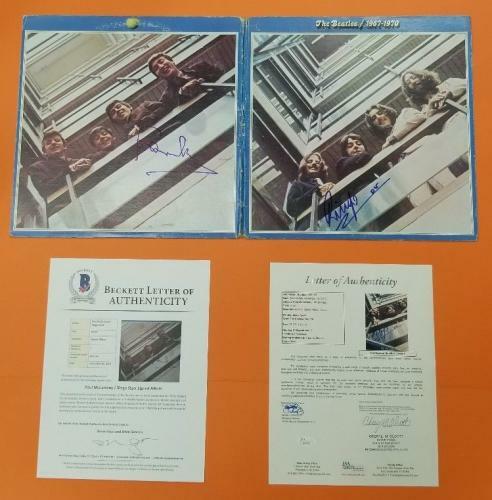 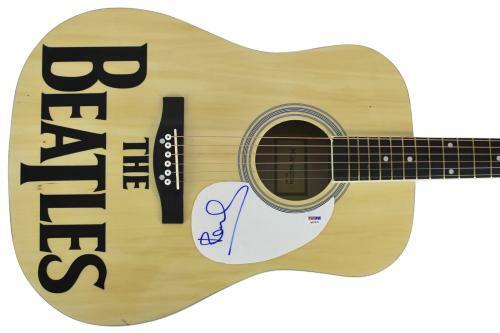 Signed Paul McCartney memorabilia and collectibles are great gifts for any friends or family members who are Paul McCartney fans or fans of The Beatles. 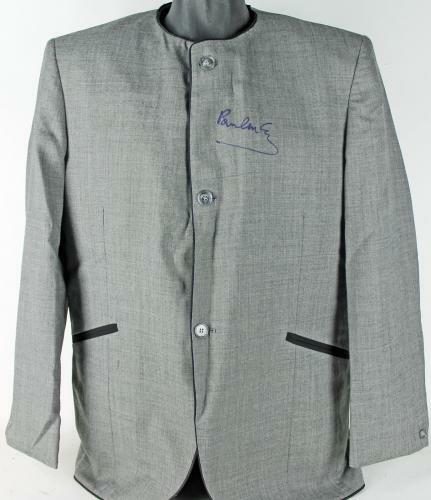 Autographed Paul McCartney memorabilia and collectibles are rare and unique items that will be treasured by your friends and family members for all of eternity. 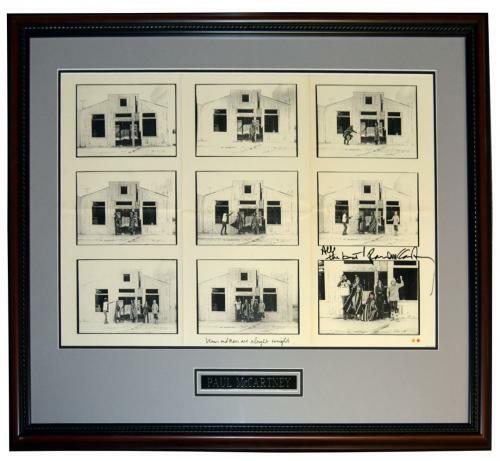 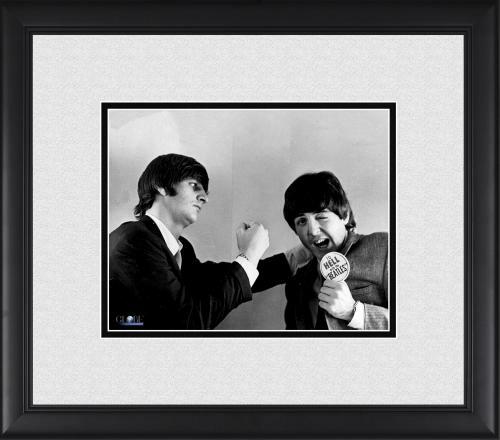 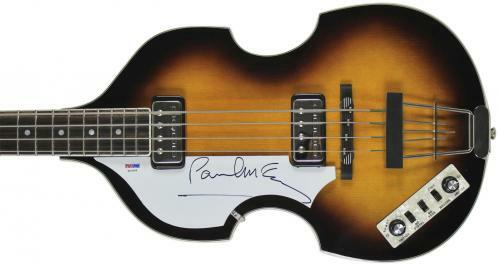 Signed Paul McCartney memorabilia and collectibles are going to look wonderful displayed in your office or home. 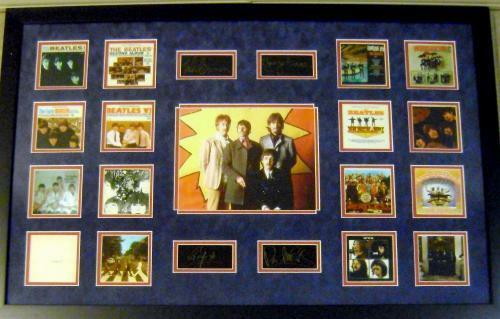 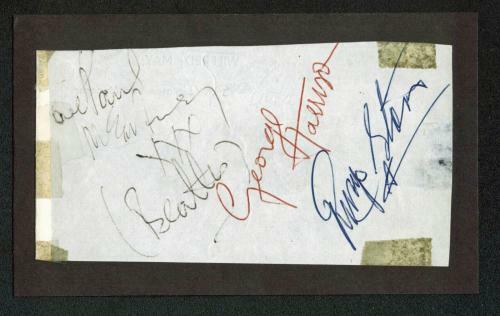 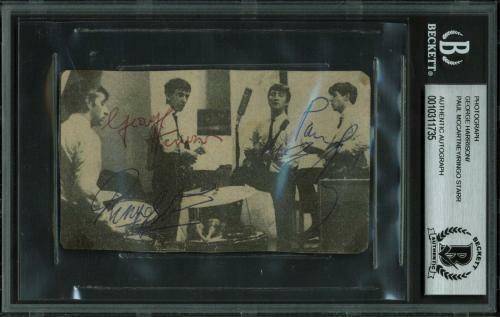 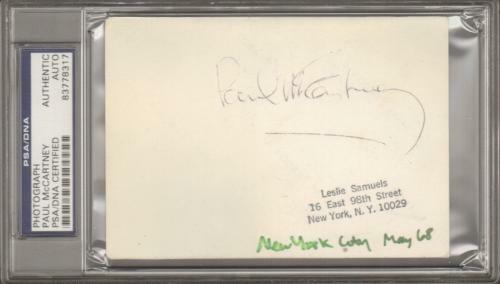 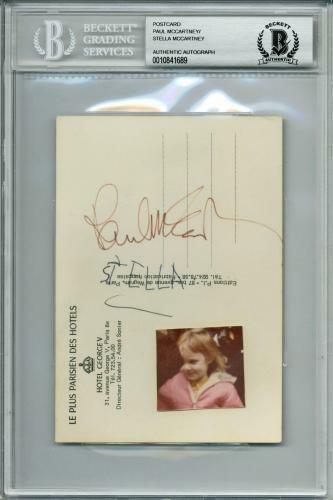 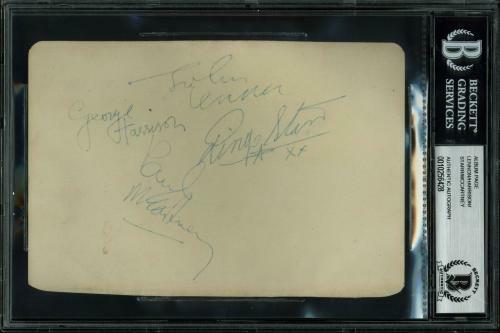 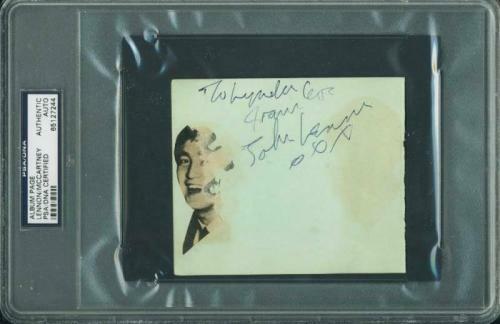 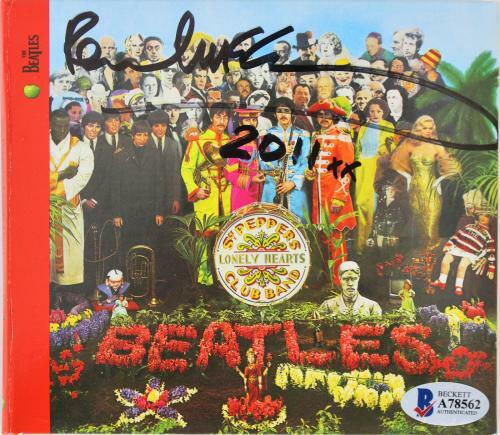 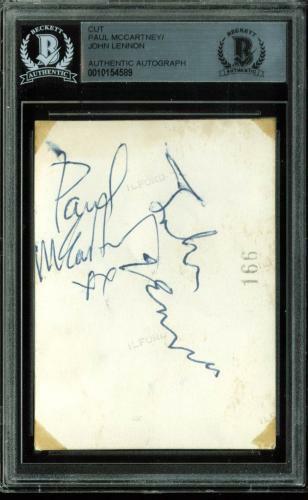 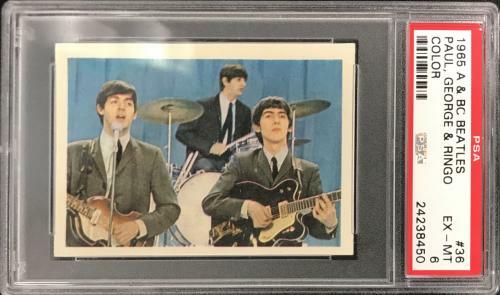 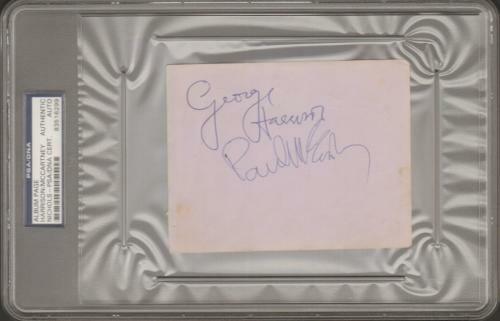 Our autographed Paul McCartney memorabilia and collectibles are valuable product offerings that you should purchase as soon as possible. 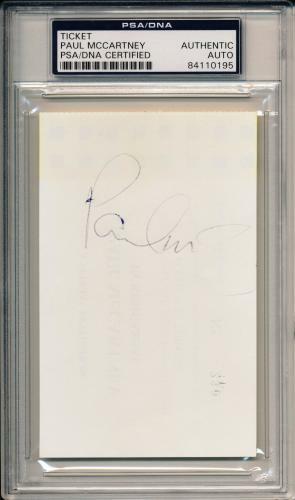 Paul McCartney Photos: An autographed Paul McCartney photo is a rare and unique piece of memorabilia that will be fantastic addition to your home or office. 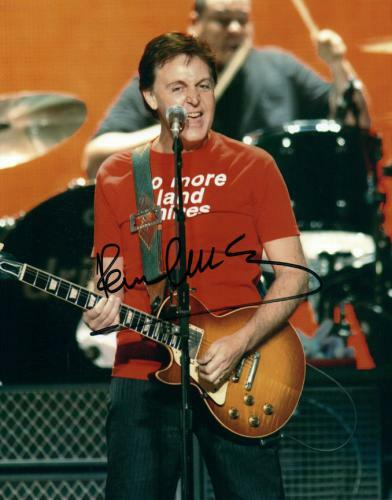 Our signed Paul McCartney photos will preserve legendary images of this Rock and Roll Hall of Famer for you to enjoy forever. 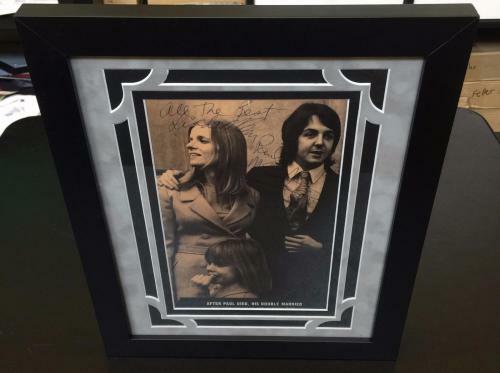 Autographed Paul McCartney photos are valuable product offerings that you will never regret purchasing for your memorabilia collection. 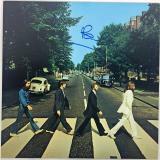 Shop for your very own signed Paul McCartney photo now before our autographed Paul McCartney photos sky rocket in worth. 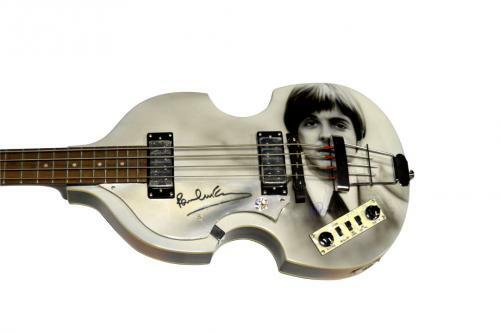 Paul McCartney Instruments: A signed Paul McCartney instrument is an outstanding gift to purchase for any of your friends or family members who enjoy Paul McCartney’s music. 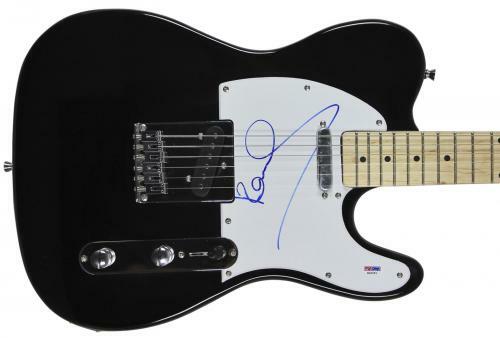 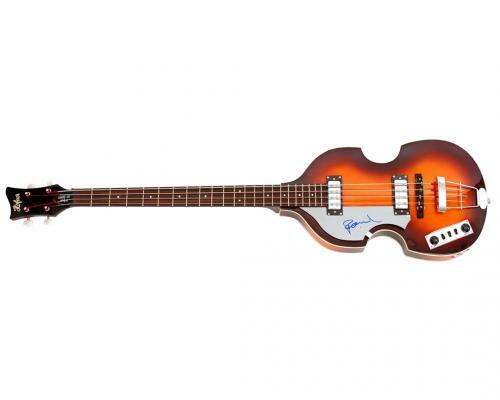 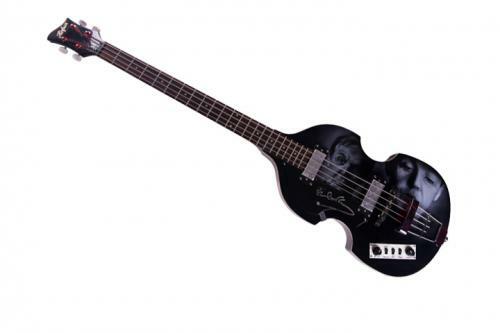 Your friends and family members will cherish their autographed Paul McCartney instrument and they will be thrilled to add a signed Paul McCartney instrument to their memorabilia collection. 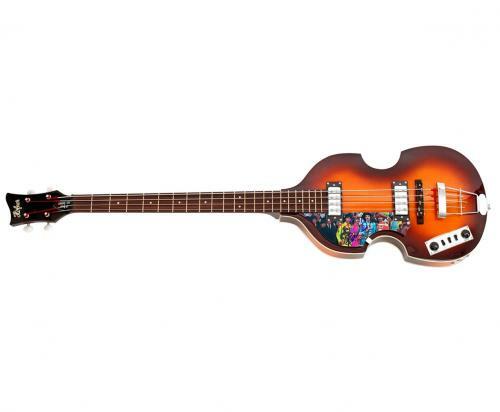 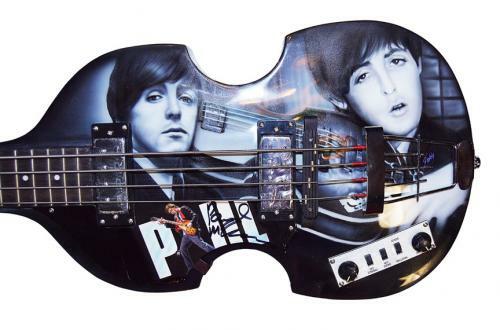 Our autographed Paul McCartney instruments are guaranteed to be 100% authentic and will look fabulous displayed in any room of your home or office. 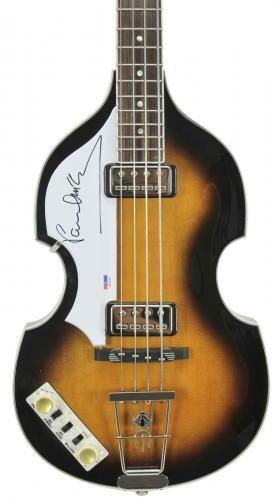 Signed Paul McCartney instruments are growing in worth and value every day making our autographed Paul McCartney instruments wise investments. 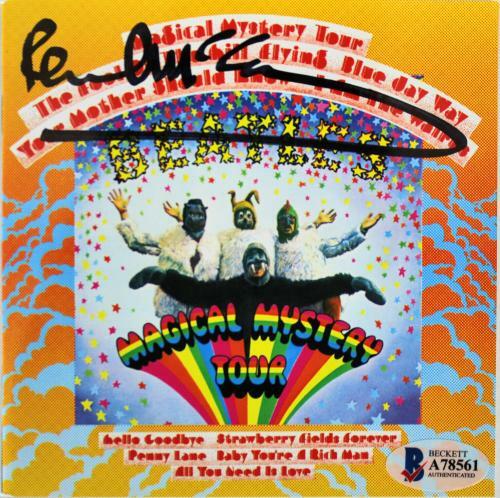 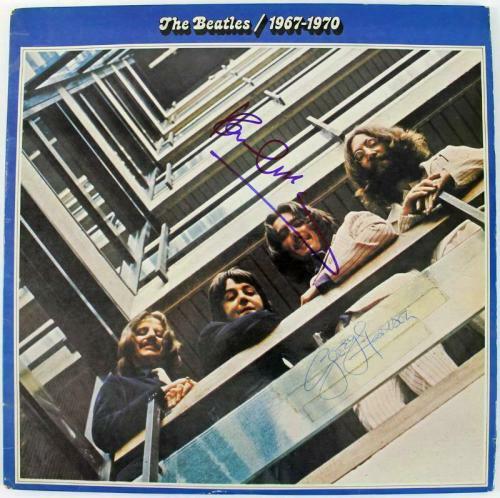 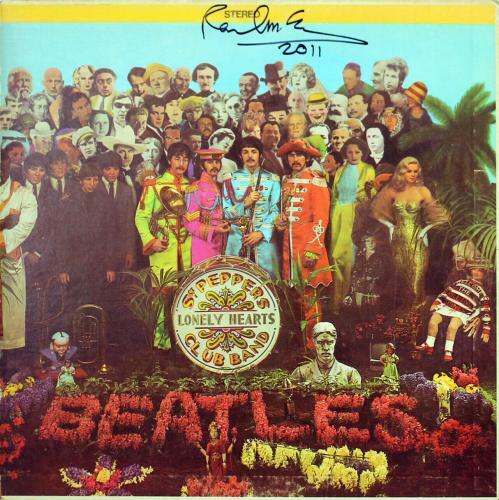 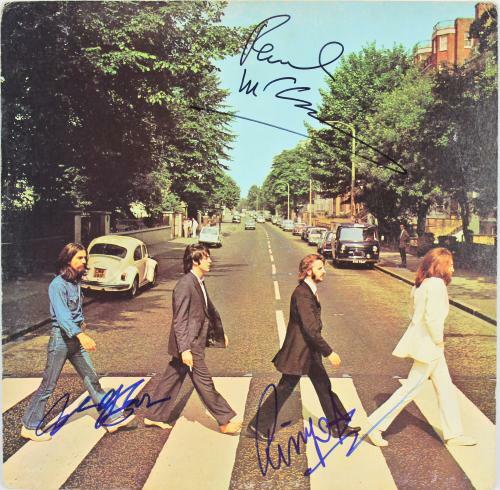 Paul McCartney Albums: An autographed Paul McCartney album is just what you need to complete your memorabilia collection. 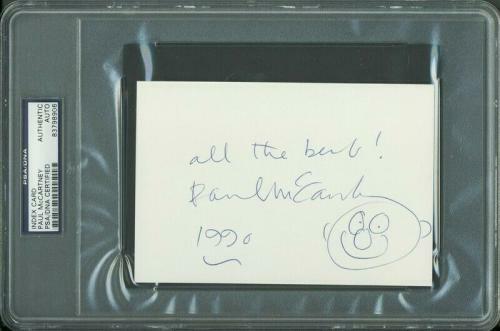 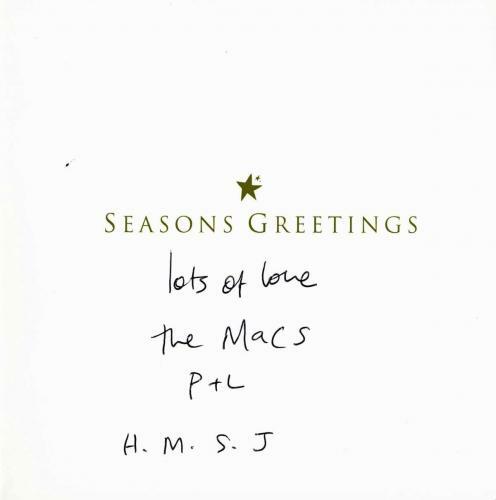 Our signed Paul McCartney albums are guaranteed to always be 100% authentic, so have no worries or concerns when you shop with us. 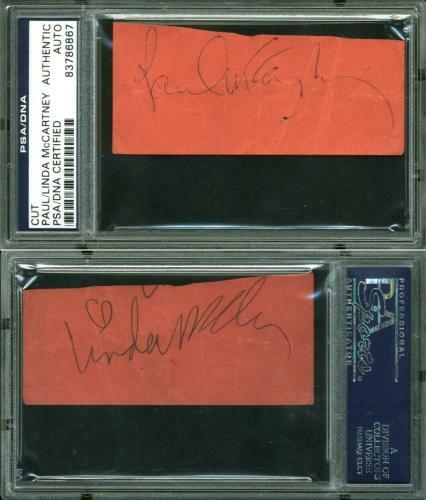 Autographed Paul McCartney albums are rare and unique collectibles that will be nearly impossible to find at other retailers. 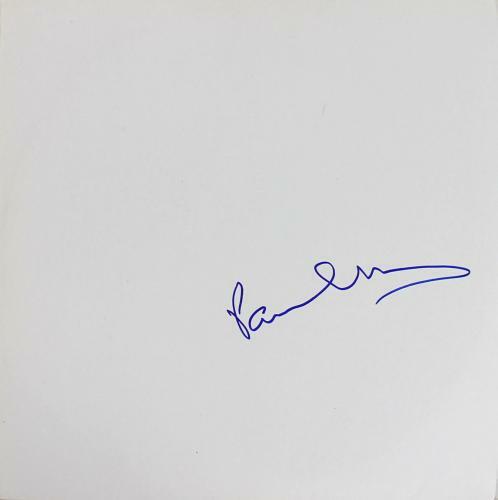 Purchase a signed Paul McCartney album soon for your home or office before our autographed Paul McCartney albums soar in value and worth. 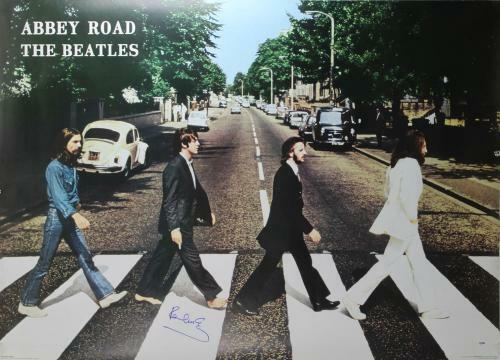 Paul McCartney Posters: The signed Paul McCartney posters that we sell are guaranteed to be authentic, as is all of the memorabilia and collectibles that we sell. 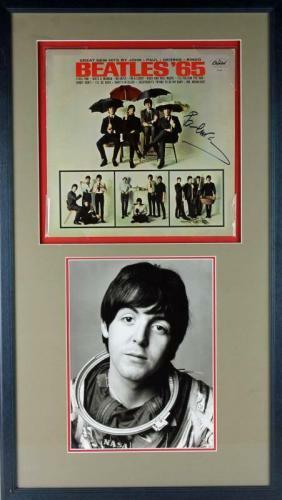 Autographed Paul McCartney posters are rare and unique product offerings that will definitely enhance your memorabilia collection. 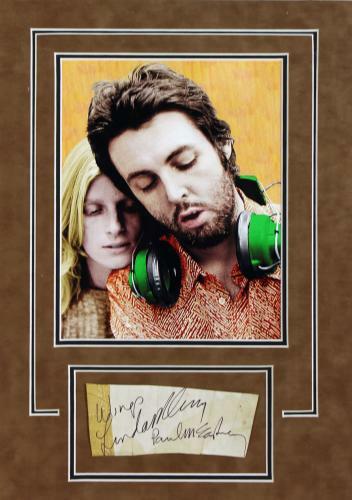 A signed Paul McCartney poster is an excellent gift for anybody that you know who is a Paul McCartney or Beatles fan. 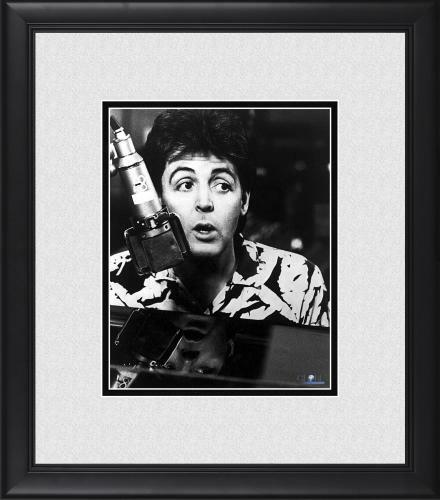 Whoever you give an autographed Paul McCartney poster to will not be able to stop thanking you for their new addition to their office or home. 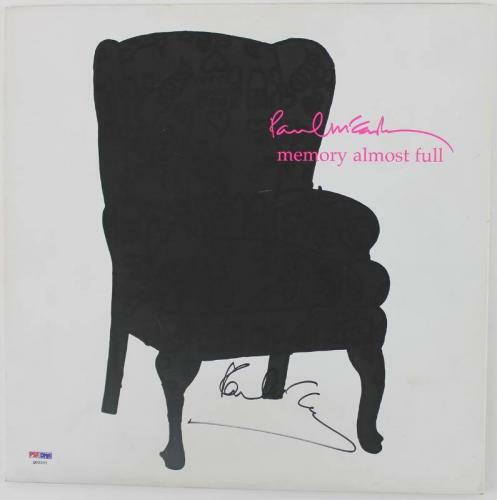 Shop for your very own signed Paul McCartney poster now because autographed Paul McCartney posters are increasing in worth and value daily.